Tacoma High School students parade to "Boost the Stadium." 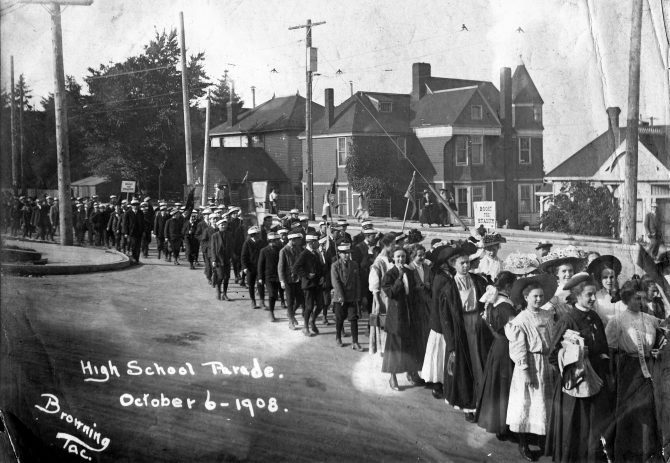 The campaign to raise $100,000 to build a beautiful high school stadium next to the school was successfully launched on October 6, 1908, when 2,000 school children ranging from 7th-8th grade to high schoolers marched in the "Boost for Stadium" parade. 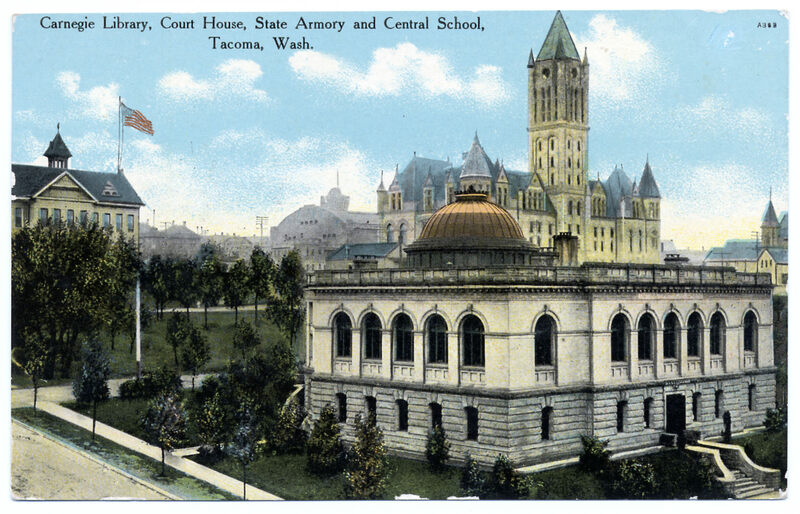 The school district cooperated by making the day a half-day so that the youngsters could march from Tacoma High School (later renamed Stadium High School) to the Union Club and then onto the downtown business district. Led by the Tacoma Musicians Union, who provided their services without charge, the marchers chanted "Boost for the stadium, stadium, stadium" and "Stadium, stadium, stadium, stadium" throughout the long walk. They asked businesses to contribute $10 promissory notes payable to the Board of Education. Each $10 entitled subscribers to one seat in the stadium for all entertainments there for the next five years. Supporters of the new stadium aimed to have it completed and ready for dedication and use by May 1, 1909.